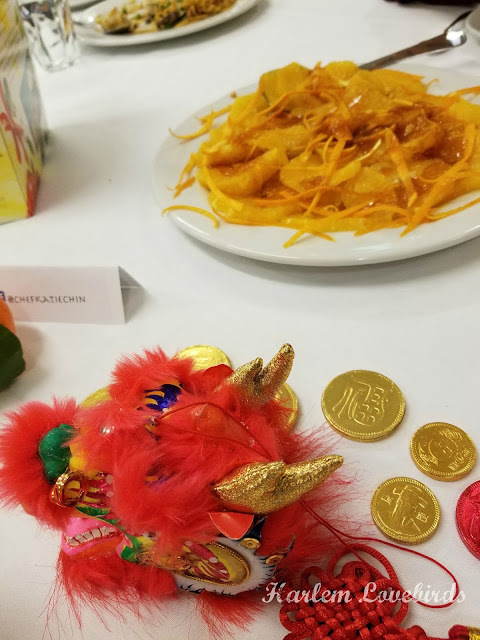 Since moving to Boston there's something my family has been in search of, mostly motivated by the New York City upbringing of Mr. Lovebird: delicious Chinese food. 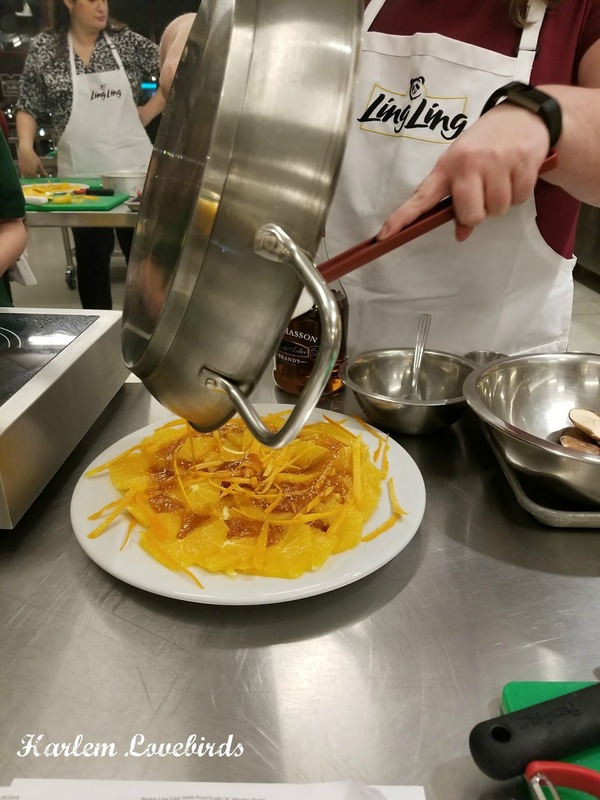 When I was invited by Ling Ling to cook alongside Chef Katie Chin, author of Katie Chin's Everyday Chinese Cookbook, I knew it might help with my family's search. Perhaps I could pick up some techniques so that I could create the meals my family misses from our time in NYC. 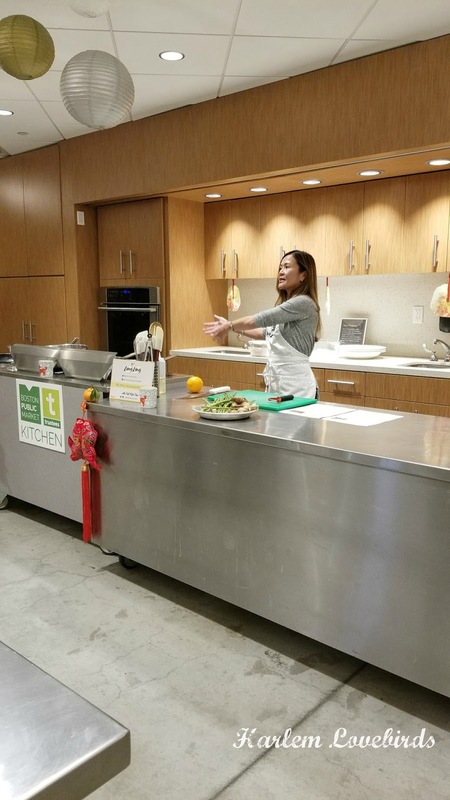 I was joined by a few familiar and new faces at the beautiful kitchen space at Boston Public Market and everything was prepped and set up to get cooking at our stations. I felt like a big kid when we started by making dessert first: Caramel Glazed Brandied Oranges. They were so simple yet decadent - we made them first so the brandy and sugar could crystallize. Even doing a non-alcoholic sugar glaze to make it kid-friendly would be a special treat I know my family would love! 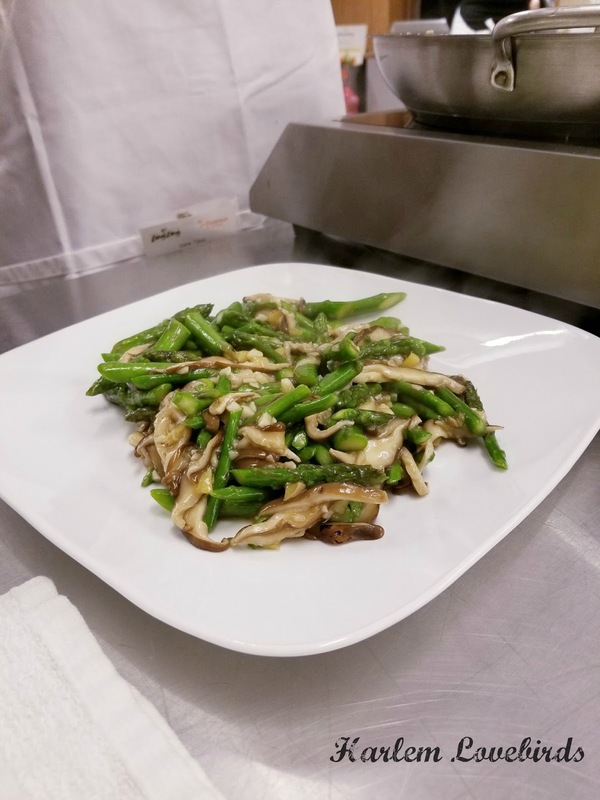 Our next dish was Asparagus Stir Fry with Shiitake Mushrooms and yet again, I was like a kid because yes, I still have my childhood aversion to mushrooms! Mr. Lovebird loves them though, so I know this is a recipe we'll have to create at home. Nia's also been asking for asparagus lately - can you believe I've never cooked it at home? Now I'm determined to give it a try. 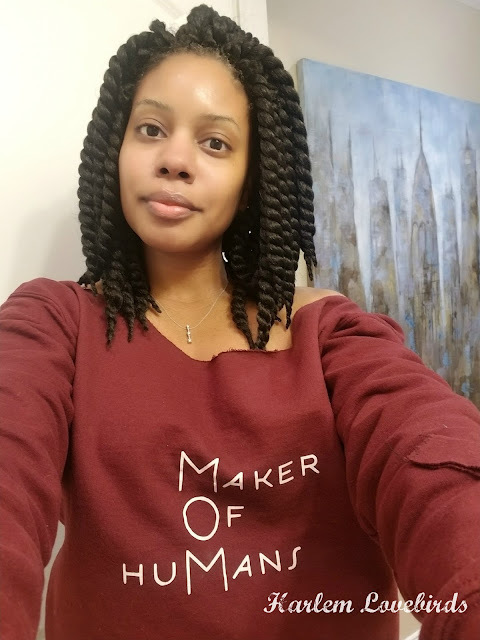 I appreciated how Katie shared with us the story of how her mom grew her food business while raising her children in the Midwest and teaching them their culture. My family too is proud of our heritage as well as the often spicy foods that are a part of it, so when we tried the Drunken Noodles I knew my family would love the spiciness, and I was right! That was the meal I chose to take home and they ate it right up. 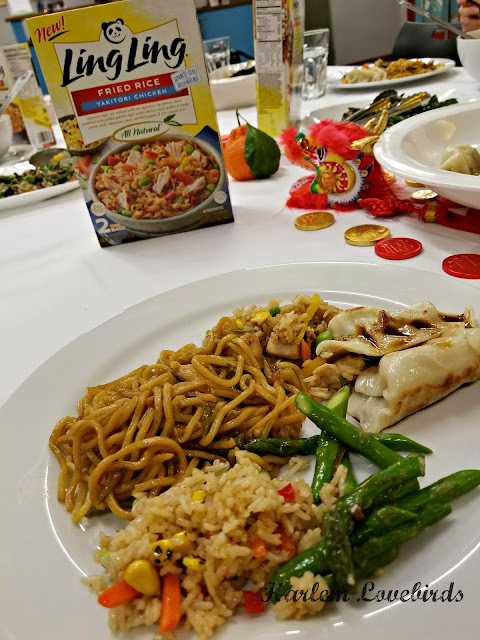 From the Fried Rice, Potstickers and Yakisoba Noodles there are so many options to create delicious Asian dishes at home, and in time for the Chinese New Year, Chef Katie and her team had the dinner table beautifully prepared for us explaining traditions such as the giving of the red envelope with chocolate coins with the rule never to give an odd number as it's bad luck! 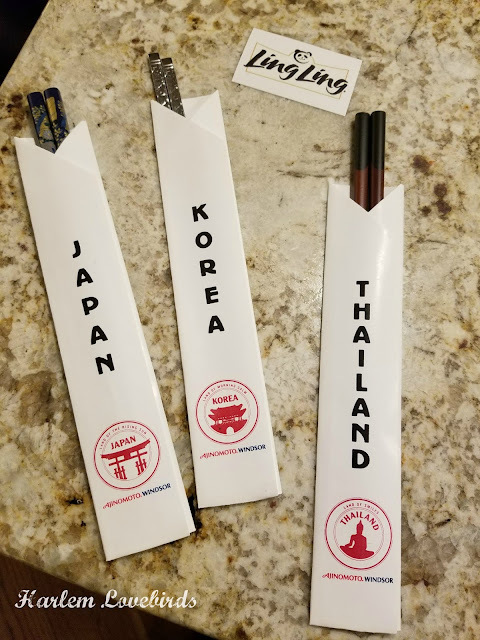 When I returned home that night my kids were especially delighted with the gift bag I gave them that included not only more chocolate coins, but three styles of chopsticks representative of different cultures. I'm sure we will be getting lots of practice in the months ahead! You can find Ling Ling products via their store locator here (in our area they're at our local Costco). Be sure to visit their Facebook and Twitter pages too so you can stay on top of the latest recipes and coupons.